Brands can promote themselves through almost any medium nowadays. Pens, stickers, posters, billboards, you name it, you can put your brand on it. Planet Earth Promotions is a company that is designed to help brands promote themselves in an eco-friendly way. There is constantly increasing awareness about environmental protection and a greater consciousness about how important it is to protect these environmental and natural resources. 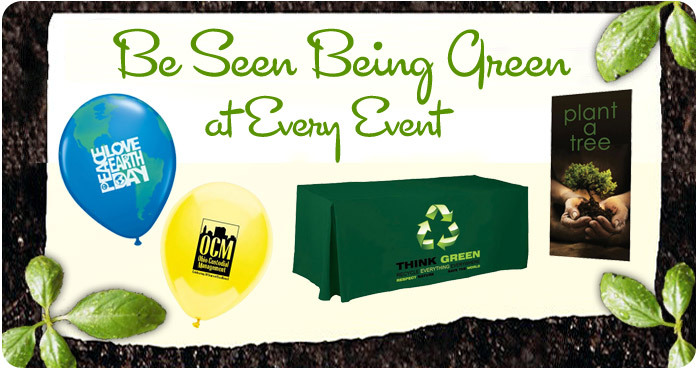 Planet Earth Promotions is leading the way for this “EcoSmart” promotional item trend. Planet Earth Promotions’ mission statement indicates that their “goal is to help companies and corporations around the nation proactively enhance their brand through the use of environmentally conscious and educational promotional items”. They have certainly delivered in this respect. This company has been ranked #1 in promotional advertising for the past ten consecutive years. Not only are they paving the way for other companies, they have become a greatly successful brand that is little to no impact on the environment. Planet Earth Promotions has built a successful brand on a trend that is becoming increasingly important as time goes on. This brand is very strong considering they have remained at the top of the list from Arizona Magazine for the last ten years and they are here to help other brands. They are able to offer many alternatives for companies to help cut back on environmental damage by providing recycled goods, information about recycling and environmental days in the USA and tips to bring pollution down. With so many companies shifting focus to being the “EcoSmart” companies and LEED (Low-energy electron diffraction) certified, it is a challenge to stay on top. Planet Earth Promotions has paired up with other environment-friendly companies such as AWEA (American Wind Energy Association) and Women’s Business Enterprise to built a very powerful and successful brand and continue to pave the way for other companies looking to create environment-friendly products and solutions for all varieties of businesses. I think it is really encouraging to see that brands are allowing for eco friendly promotions of their products. In an age where we are consuming more than we can produce, if there is anyway we can impact positively on the environment, measures should be taken to do so. After reading this article I went to check out their website. I was pleasantly surprised to find how reasonable their prices were. When thinking “going green” I tend to also think about more green coming out of my wallet because I assume products like these cost more. It will be interesting to see if companies not “going green” will ever become a minority. Its seems more and more head in that direction over time. A green company does give you that extra reason to chose them for services or whatever needs they meet versus a company who has not gone green yet. Wow, this company definitely paved the way for the future of eco-friendly business. The success of this advertising company is great for modern businesses because we are facing increasing global problems that need to be delt with immediately if we want to ensure the saftey of future generations. I believe most companies will be extremely pleased with the options given by Planet Earth Promotions because it gives alternatives that are able to help cut back on the environmental damages without damaging success. With so many companies concerned with their environmental impact today it is no wonder that Planet Earth Promotions has a large market and a demand for their services. However, I wonder what it is about this single company that has made them #1 in promotional advertising. What is it about their ads or their services that are so appealing? Perhaps it is just the fact that they are delivering exactly what the consumer wants; eco-friendliness. But beyond that, maybe they are a company that is dedicated to bringing about a green world no matter what the cost to themselves maybe. Either way, they are successful and will continue to be.